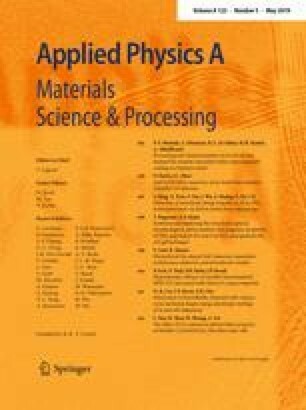 An aqueous colloidal solution of dextran-coated magnetite nanoparticles was studied by nonlinear second-harmonic magnetic response (M2), transmission electron microscopy (TEM), dynamic light scattering (DLS) and electron magnetic resonance (EMR). Nanoparticles were found to aggregate. A set of magnetic parameters of the aggregates, such as the mean magnetic moment, the magnetization damping constant, the longitudinal relaxation time, the field and energy of magnetic anisotropy, and others were evaluated from M2 measurements with the data processing formalism based on the Gilbert–Landau–Lifshitz (GLL) equation for the stochastic dynamics of superparamagnetic (SP) particles. Combined with TEM and DLS, the M2 technique additionally enabled the differentiation between magnetic and nonmagnetic components of the colloid. To achieve full numerical consistency between the parameters obtained from the M2 and TEM data, magnetic correlations of nanoparticles inside the aggregates were taken into account and their correlation radius was evaluated. The observed crossover in the magnetic field dependence of the EMR signal occurring due to the break of the dipole–dipole (d–d) coupling between nanoparticles in the aggregates was described using the M2 and TEM data. Results of this study were obtained using the supercomputer of Peter the Great Saint-Petersburg Polytechnic University Supercomputing Center (http://www.spbstu.ru). The authors are grateful to A.V. Arutyunyan for helpful discussions, to A.M. Ischenko for permanent interest and support of the study, to I.I. Larionov for assistance in the M2 measurements, and to A.I. Zaitseva for help in the preparation of the manuscript.